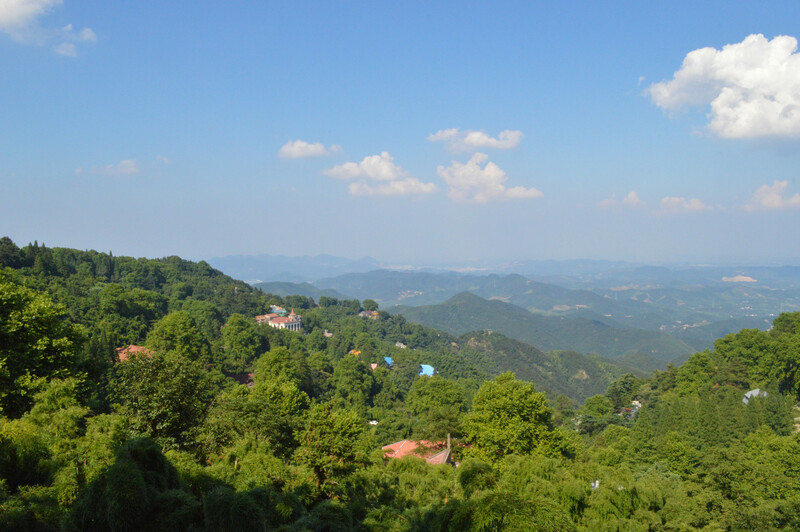 Situated near Hangzhou City, Zhejiang Province, China is a perfect little hill station that has breathtaking vistas. 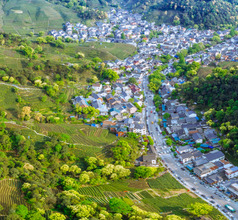 The city of Mogan Shan is just a two and a half hour’s drive from Shanghai and is a very popular upscale holiday resort. 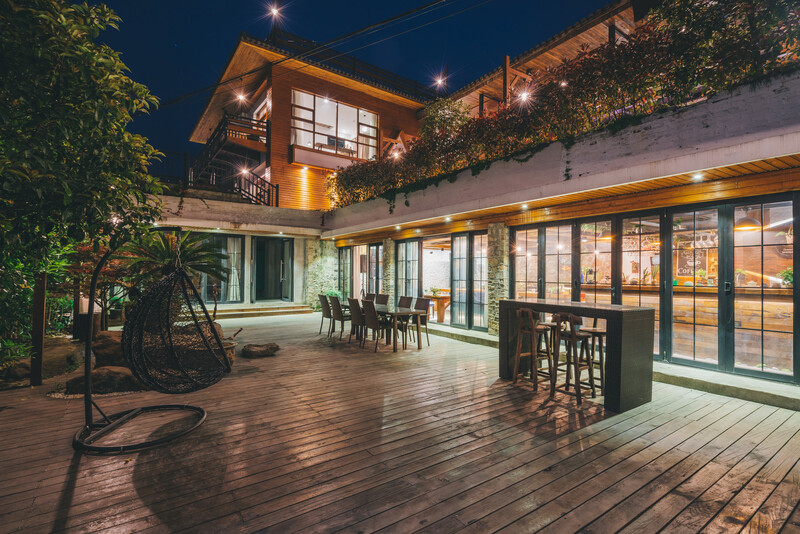 It is suitable for weekend getaways as well as longer vacations due to its pristine surroundings, bamboo forests, tea plantations, and pollution-free air. It is also a very popular spot for hiking, nature trails, photography, and horse riding. In the 19th and 20th centuries, the people of China came to Mogan Shan to escape the summer heat and this trend has continued even today. In those times, missionaries from the West came with their families and settled down in and around the city. Gradually, the city became a popular summer resort for overseas tourists. 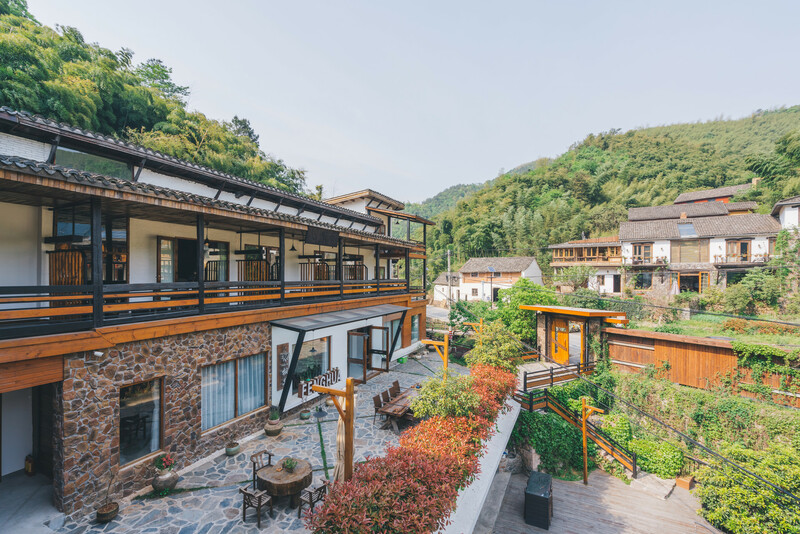 So, despite being a Chinese city, Mogan Shan has several churches, swimming pools, tennis courts, meeting halls, and large western-style mansions. 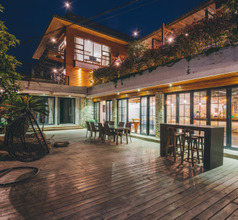 A majority of the mansions (the larger ones) have been converted into villa-style boutique holiday resorts with a full gamut of facilities similar to 5-star hotels. 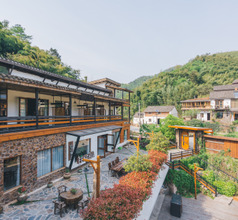 Besides the usual amenities, some of these resorts also offer activities like horseback riding, outdoor swimming pools, guided biking and hiking, and more. 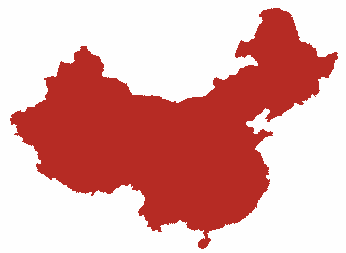 Most of these resorts are located in the Deqing County of Mogan Shan city precinct. Some mansions are now guesthouses offering budget accommodation but the staff may not understand English. So it is a good idea to download an English-Chinese translation app or carry a dictionary. 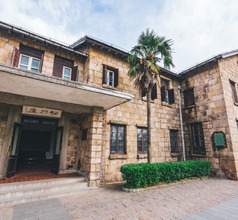 Chiang Kai-shek, a powerful military leader and politician during the Communist revolution also had a large villa in Mogan Shan. 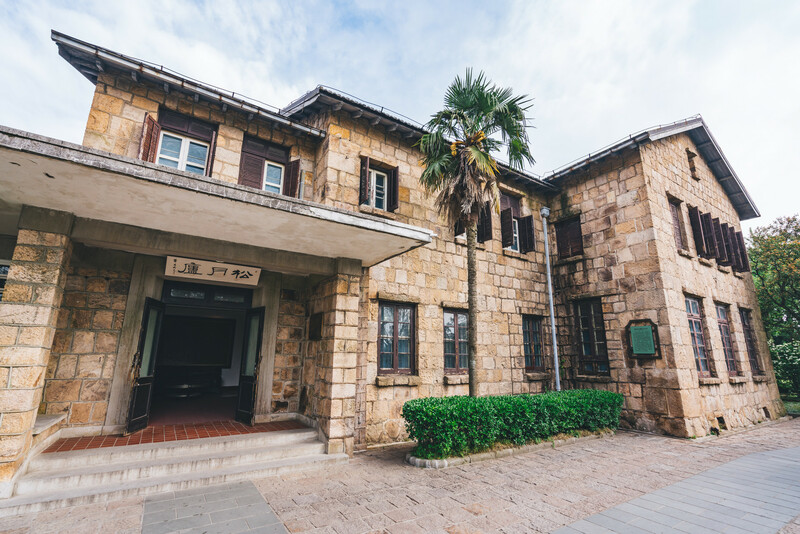 The house is now a popular tourist attraction for those who are interested in the contemporary history of China. 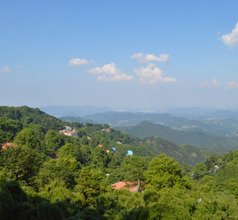 What overseas tourists really find attractive about Mogan Shan is the fantastic scenery of the Mogan Shan Nature Park. Along the paths, there are unusually shaped rock formations, pretty little ponds, and ancient mansions with beautiful architecture. As one climbs to the top, the vistas unfold in the form of picturesque green valleys. Hiking is a very popular activity and there are several nature trails. Some of them are paved roads and some are mud paths cut into the mountain slopes. In some places, there are steps for the convenience of hikers. Yet, many of the trails are very steep and not meant for the faint-hearted. It is advisable to ask the hotel staff about the safety factors before attempting any of the hiking trails. Dotted along the paths are several old mansions built by the British, Americans, and Europeans. 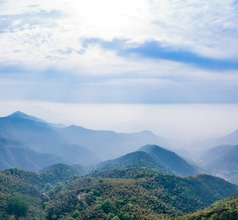 Among the several peaks of Mogan Shan, the Ta Shan peak is 724 meters above sea level and is the tallest one. This hiking trail has a proper paved path. The summit offers a magnificent view of the Anji Valley below and its dense forest. To hike along some of the other paths, people have to climb dirt paths and cut through the undergrowth to get to the top. The Sword Pond hike is the most popular one. This trail also has a very beautiful waterfall along its path. The Guai Shi Jiao or Weird Rock Corner is a popular site for clicking pictures. 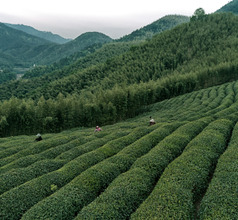 Just below the rock is a beautiful tea plantation where tourists are permitted to explore and enjoy the scenery. There is a shop on the premises where one can buy their excellent yellow tea. The tea is mildly-flavored and a little sweetish. 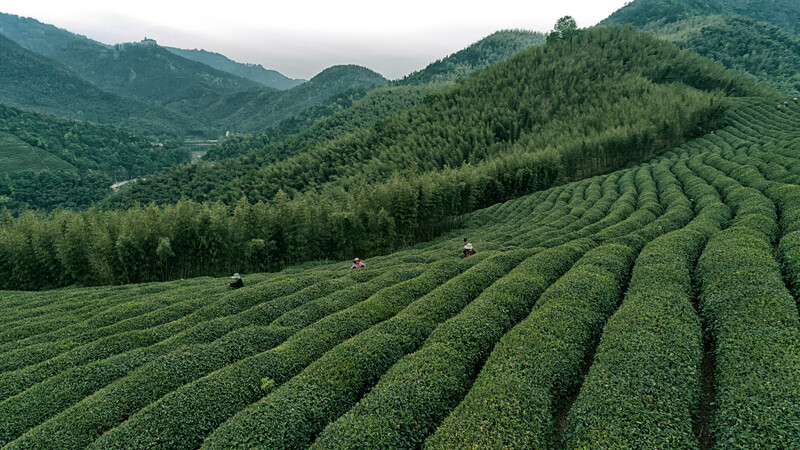 It has been cultivated and processed in the same way for the last 1,000 years since the Tang Dynasty era. 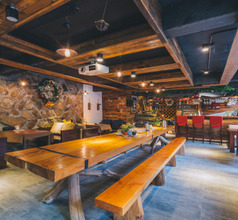 The Deqing County is where the best restaurants are located in the Mogan Shan City limits. These are again found in the western-style mansions on the hill slopes. 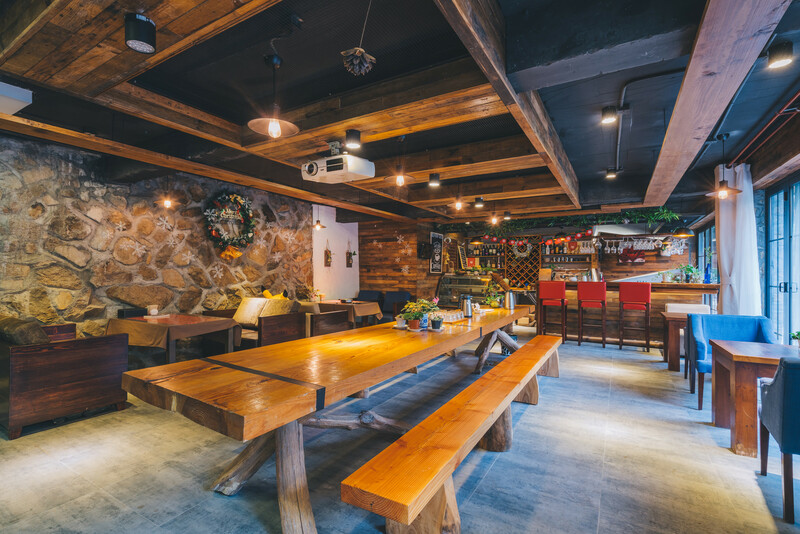 Many of them serve popular burgers and pizzas but there are several teahouses and Chinese restaurants for those who have an adventurous appetite. The cuisine of Mogan Shan reflects that of Zhejiang Province. Some of the popular dishes are rose macaroons, tea-smoked duck, pan-fried duck liver, black truffle salad, caramelized bamboo shoots, wild boar, grilled crayfish, braised fish, shrimps cooked in Longjing Tea, Beggar's chicken, Dongpo steamed pork, etc.